(06-18-2018, 07:18 PM)KevinL Wrote: Not so sure on the faux-brick-and-beam look, but I'm pleased to see an intensification plan. (06-18-2018, 07:49 PM)KevinL Wrote: I guess my objection is to the overall 'industrial' aesthetic - a fake smokestack and water tower? Really? (06-18-2018, 07:41 PM)Rainrider22 Wrote: How can anyone be critical of a proposal so quick. It is a bold idea. I hope it comes to fruition. (06-18-2018, 09:26 PM)GtwoK Wrote: Like dunkalunk said, seems to completely ignore ION phase 2. So doog luck with that. (06-18-2018, 10:19 PM)panamaniac Wrote: I wasn't sure what you meant by "ignore the presence of ION". 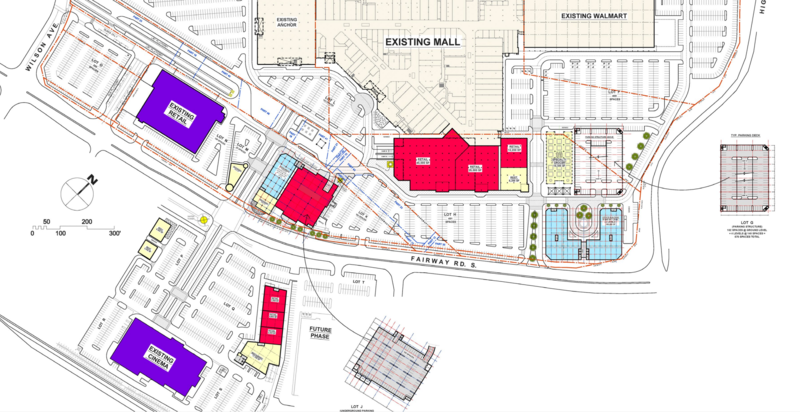 Is it the intention that Phase 2 would pass through the mall lands? I thought it would turn at the terminal to get up to and over Fairway Rd.